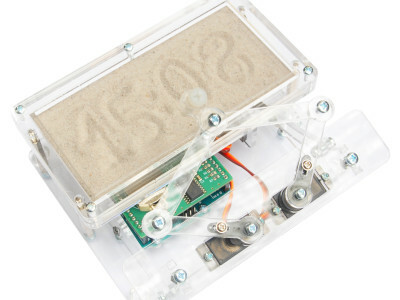 Writing the time every minute – or at any other adjustable interval – into a layer of sand is the star attraction of a cool project developed around an Arduino Uno. 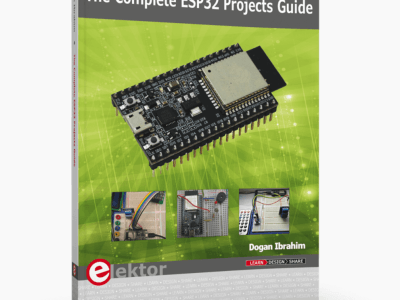 This video shows how easy it is to build the well-designed gadget yourself from a kit of parts provided by Elektor. All parts are included. 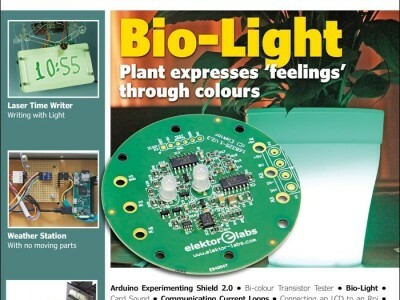 Described in the January & February 2017 edition of Elektor, the Sand Clock project, unique for its mechanical design, is all the better for its availability in kit form, which I’ve wanted to examine more closely. The principle of this gadget is amusing: to write the time in sand every minute, with a stylus on a pantograph and some servomotors, and erase it just before the next minute, and repeat endlessly. 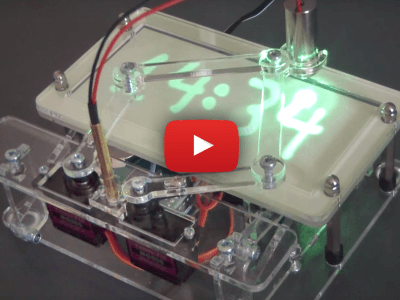 This nifty gadget built around an Arduino Uno uses some servos and a pantograph mechanism to write the time in a sand bed. 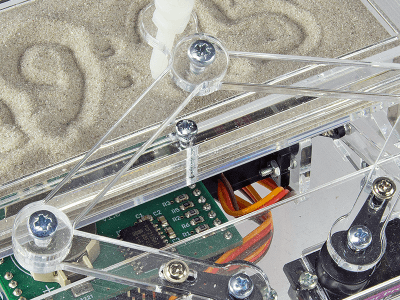 After a configurable time interval the sand is smoothed out by a pair of vibration motors and the cycle starts over again. Along with the automatic time mode, the clock software has a command mode which allows you to control the pen using simple commands. 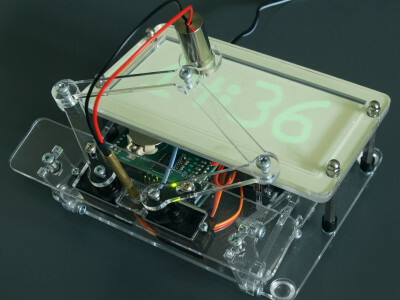 Built around an Arduino Uno, this cool gadget displays the current time of the day, not by showing digits or changing the relative position of a pair of hour and minute hands, but by plotting four digits into a layer of sand. 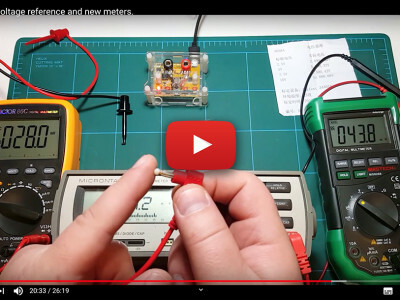 After an adjustable delay two vibration motors flatten out the sand before the write cycle begins again.